Cookie Life On The Road | Portland, OR! I met Berlin a few years ago at Mass Innovation Nights and we’ve been great friends ever since. She founded Proud Pour and on Friday, competed in a pitch competition. It was so awesome to watch and cheer her one, she ended up winning the grand prize! As usual, ate a lot of great food and checked out breweries. Literally waited 1.5 hours for fried chicken. Insane, right? Apparently Reel Em Inn has been ranked the #2 Dive Bar in America and it definitely showed. This place had about a billion 5 star reviews so just had to check it out. The entire experience was quite degenerate, in the best way possible. After the excruciating wait, we dove into the chicken (and the free jello shots, woof). This was BY FAR the best fried chicken I’ve ever had in my entire life. If you ever go to Portland, you must go. Not a great pic, but a pic. My friend who is a brewer told me that this brewery does every single style of beer well, so of course had to check it out. Great food, great giant outdoor fire, and amazing beer. We had a gorgeous drive out to Mt. Hood (where they are located) and hung out by this giant fire outside until our table was ready. This frozen yogurt place was absolutely amazing as well. I love that they had non dairy options as well as dairy - they also had about 100 toppings to load up on! So delicious. I went to a bunch of other as well places, but these were the absolute BEST. Next up, Iceland. Stay tuned for our next trip and follow along on Instagram for live updates and stories! Welcome to the COOKIE LIFE. 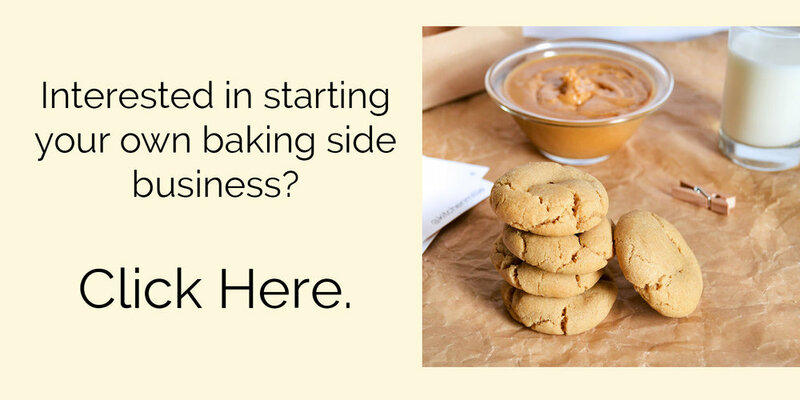 Check in every week to see what we’re mixing up -- from advice on getting a side hustle started to best and worst loading docks in Boston to our biggest cookie fails (and everything in between), we’ll be here keeping you inspired and entertained as you follow along on our journey to keep Cookie Nation happy and well fed, one cookie at a time. The cookie life is the best life.